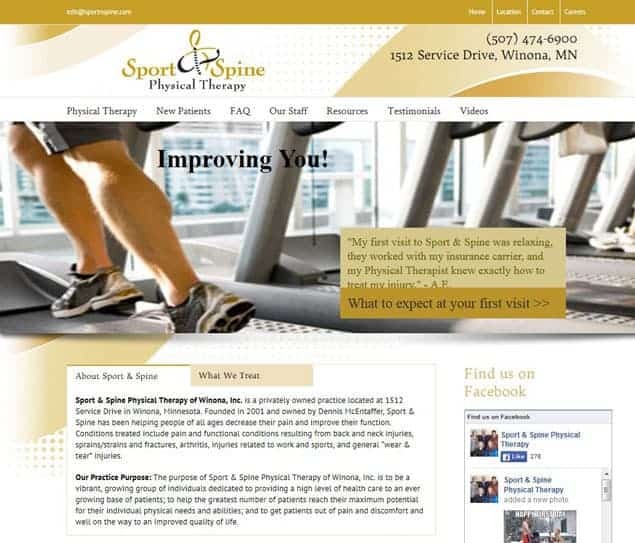 Vision Design Group announces a new website for Sport & Spine Physical Therapy headquartered in Winona, Minnesota. Sport & Spine features sports medicine, bracing, and orthotics services. The new website uses WordPress as the content management system, and it mobile optimized for display and navigation on tablet and smartphone devices. Prospective patients can learn about the staff, read client testimonials, and review FAQ’s. A new patient page also offers a new patient packet that can be downloaded from the website.